Dolphins normally sleep only with half of their brain at a time. This is due to the fact that dolphins are conscious breathers (they breathe using lungs), so if they sleep and go unconscious, they would simply suffocate or drown. This is why sleeping dolphins are seen as resting, floating with one eye open at the surface. 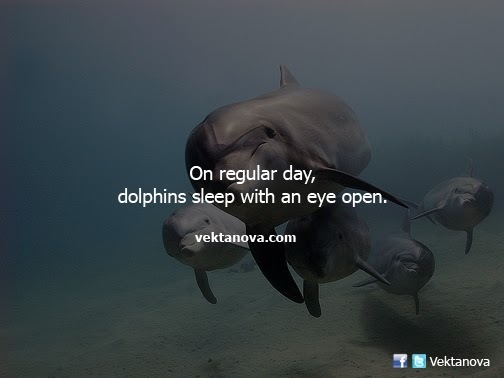 No response yet to "On Regular Day, Dolphins Sleep with an Eye Open"